The elbow is a hinge joint made up of 3 bones - humerus, radius and ulna. The bones are held together by ligaments to provide stability to the joint. Muscles and tendons move the bones around each other and help in performing various activities. 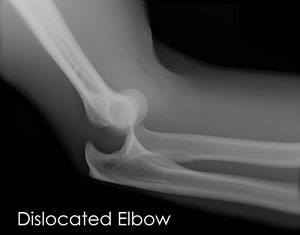 Elbow dislocation occurs when the bones that make up the joint are forced out of alignment.